In July of 2010 Ed & Rosa reached out to the Mayor of Guachochi to express their desire and passion to expand Lirio de los Valles to Guachochi. Guachochi is a central city in the Sierra Mountains, about four hours from Chihuahua. 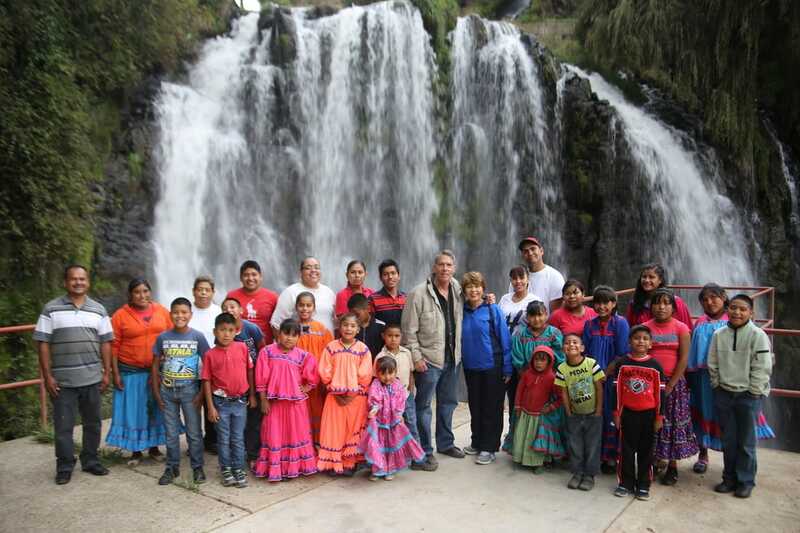 It is ideally located to reach out to the needy children of the Tarahumara Indian Tribe. Because of the distance, the current Lirio site in Chihuahua can not effectively serve Guachochi. A large number of Lirio children are from the Guachochi region. The Tarahumara children of these villages are living a life we cannot fathom. They live in the mountains where they are exposed to the elements. Alcoholism and drug addiction are common, often leading to neglected children. Because it is so difficult to access these villages, the two social service workers in Guachochi explained that often the children simply disappear into the mountains where they are never found. There are even cases of parents who are unwilling or unable to care for their children who decide to cook and consume them. It is a region where evil rages, and Ed and Rosa are ready to intercede with the love of Jesus. The Tarahumara Indians, although Mexican citizens, are a group of people that face incredible racism, discrimination and mistreatment at the hands of their fellow Mexicans. Because of the high percentage of alcoholism, lack of food, no rain or harvests, children are born with severe malnutrition, sickness and isolation. They are a three day walk from the nearest medical clinic. Incestuous relationships between fathers and older daughters are very common. It is not uncommon for parents to abandon their children for days at a time while they travel to another village and participate in drunken tribal festivals. If children are fortunate, they are able to obtain food in the absence of their parents. But, many children are not so fortunate. Many babies are literally thrown into the river by a teenage mother who is desperate, already having three or four children that she cannot feed. Many children are also abandoned by their parents who search for a dream life (like the American Dream) in the city of Chihuahua, only to find themselves bitterly disappointed; sleeping in the streets and having to beg for food and money. On October 5, 2011, Ed and Rosa received 30 children to care for in Guachochi. They started out in a house with a few staff from Chihuahua. On September 26, 2014, we inaugurated the new construction. The home is currently run by Cesar Torres. The fabulous piece of land was donated by the government and, through people like you, we paid a third of the cost to build, equip, and furnish it.